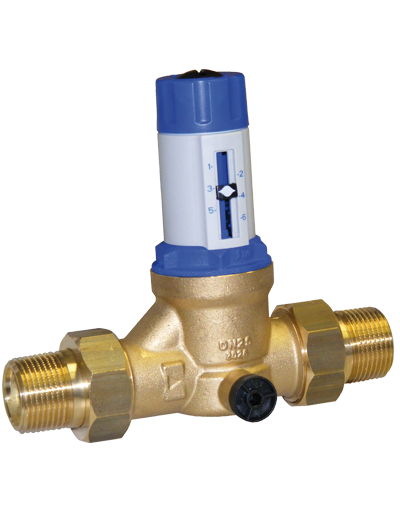 High-class pressure reducer with union connections on both sides, strainer and connection for pressure gauge G ¼“ on both sides. With downstream pressure indicator. The type 315.2 meets the highest European acoustic protection requirements. Body made of first class, corrosion resistant brass alloy (DZR).